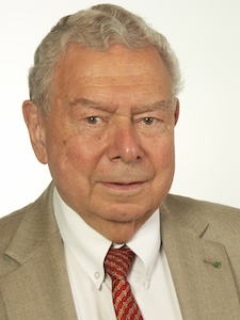 Lennart Levi, professor emeritus and the founder of the Stress Research Institute has received the prestigious Compostela Prize. Lennart Levi is awarded the prize for his work on european core values, his multidisciplanary working and his efforts to get research results into practical applications for a more friendly life-environment. The prize - €6000 and a gold medal - is awarded annually by one of the worlds' leading university networks, the Compostela Group of Universities (CGU) and the local government of Calicia, Spain. Notable winners of the prize is Vaclav Havel, Jacques Santer and Carla Del Ponte.